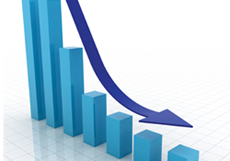 In July, Price Waterhouse Coopers projected UK growth to slow to around 1.6% in 2016 and 0.6% in 2017. Businesses are always looking for ways to cut costs, but with the current economic uncertainty businesses need quick ideas*. 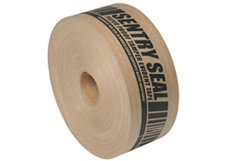 With polymer costs affected by the weak pound, a good product to review for a quick win is your packaging tape. If you use a lot of polypropylene or vinyl tape then perhaps a switch to gummed paper tape could have a positive impact on your costs. 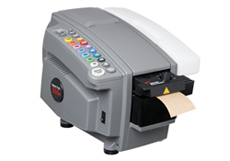 Although paper tape can sometimes appear more expensive at first glance (depending on what tape you currently use), when used with an electronic dispenser, which can be set to cut your tape at a uniform size, you are ensuring that wastage in minimised. This gives you a better yield from each roll. As it sticks so well to cardboard, only one strip of tape is required to secure a pack, whereas when using lower grade tapes multiple strips are often applied. Reducing the amount of materials you use can reduce your costs too. Much stronger than standard packing tape, gummed paper tape applied to cartons creates a “bond” with your box, making the entire parcel stronger and more secure. 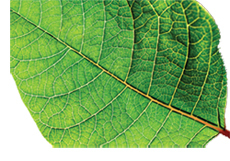 Better product protection means less damages, cutting down costs associated with replacing broken or lost products. A tape dispenser machine not only dispenses on demand the exact amount of tape needed it also means an end to wrestling with conventional tape dispensers. This automation of your packing operation will help you to pack quicker and generate greater throughput in a shorter time. It will also reduce the risk of operator fatigue, helping to create a happier and healthier working environment. The excellent bonding properties of gummed paper tape also means that you don’t need to apply several overlapping lengths to ensure a good seal as is the case with standard tape. Only one length is enough to ensure a strong grip, which helps to reduce material costs and increase productivity. We all know that standard adhesive tape is not the most attractive way of sealing your parcels. Packages sealed with gummed paper tape look neat and professional, reflecting positively on both your product and your brand. They are also easy to print on, which is a great, low cost opportunity to promote your brand by adding a logo or personalised message to your shipments. Gummed paper tape is a great tamper evident solution, which makes it obvious if somebody tried to access the content of your parcel. It is also more resistant to temperature variations than standard packing tape, maximizing the protection of your parcel. Made from natural, sustainable and naturally degradable materials, gummed paper tape is 100% recyclable and does not need to be removed from boxes before recycling. It’s also biodegradable, which makes it a perfect environmentally-friendly alternative to standard packing tape. 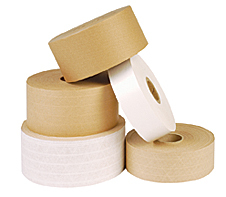 For advice on gummed paper tape products or other costs saving ideas for your business, please call Macfarlane Packaging today on 0800 288 8444.